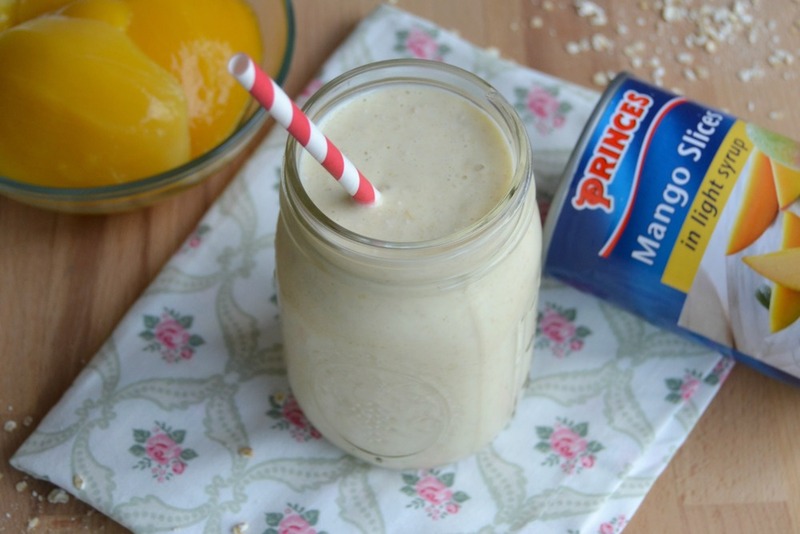 Here are three super-quick, easy, healthy and tasty breakfast ideas for you to try using oats and cans of Princes fruit in juice - overnight oats with peaches, granola with pineapple and oat mango smoothie. All of these recipes contain one of your 5-a-day and take seconds to prepare, as you can see in this video. Princes cans of fruit in juice are an affordable and speedy breakfast option. Because there's no peeling or chopping involved they're also a convenient way to get one of your 5-a-day. 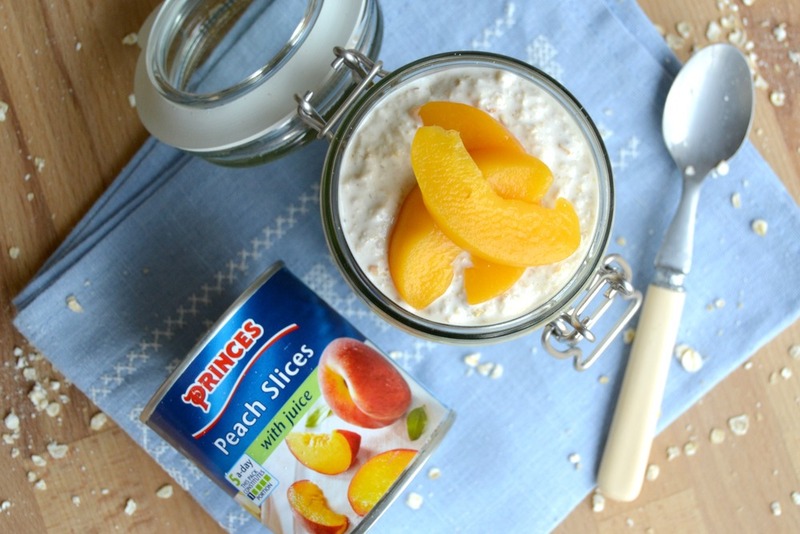 Princes ring-pull cans are easy to open in the mornings and the fruit is great quality for a quick, simple and delicious breakfast. Combine the oats and yoghurt very well in a jar or container with a lid. Put the lid on tightly and chill in the fridge overnight (minimum 4 hours). Open and drain the peach slices. Mix well with the creamy oats. Serve with a splash of milk if desired. Serves 2. Open and drain the pineapple chunks. 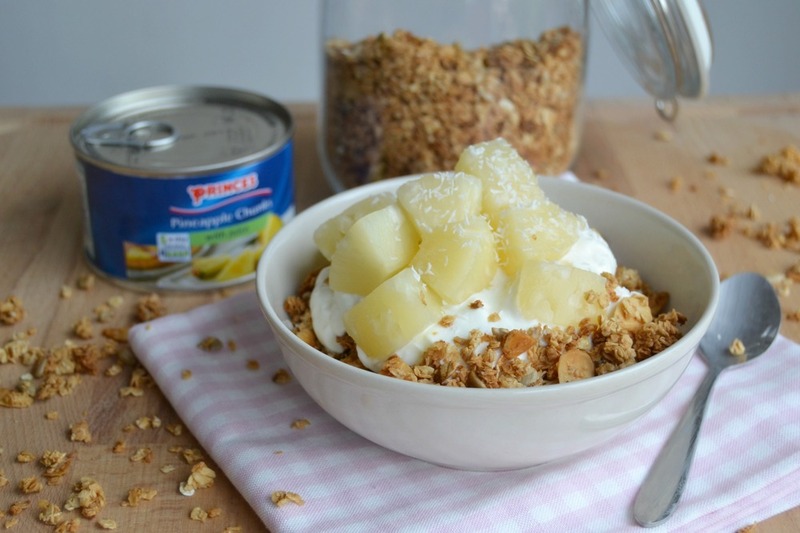 Spoon half the pineapple chunks over the yoghurt and granola. Serve sprinkled with desiccated coconut. Serves 1. Place oats, milk and yoghurt in a food processor or blender. Open and drain the mango slices and add to the blender. Blend the mixture until smooth and serve. Serves 3. This is a sponsored post in association with Princes.